Congratulations to Brian and Hilda McDaniel on the purchase of this stunning filly! Miracle is a halter and performance contender. She has tiny tipped ears, tiny muzzle, big soft eye, long elegant neck and strong hip. A real show girl! 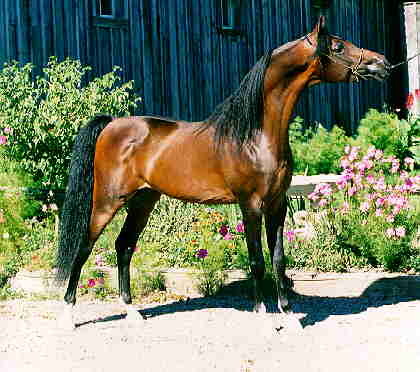 Miracle is Sweepstakes nominated, US & Canadian Futurity nominated and is also nominated for the Parkland Futurity in Red Deer for the 2001 yearling class.